In a whirlwind weekend of Rock, LB flew into Los Angeles from the East Coast to get an exclusive listen to the new Stone Sour album. The band had invited him to come out anytime during the recording process of “Hydrograd.” Realizing things were about to finish, Lou hopped on a plane on a Saturday morning, landed and went directly to the studio. 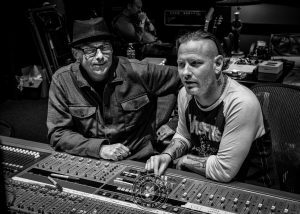 He spent six hours with the band and the staff of Sphere Studios L.A. listening to the record, taking photos, and conducting an interview with Corey Taylor. 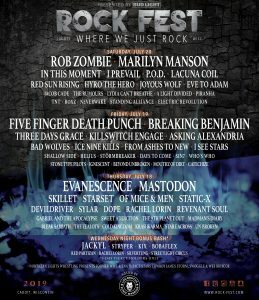 The one-on-one chat covered the album, upcoming tour with KoRn, and band’s return to Rock Fest Wisconsin. After his time with the band, Lou returned to directly to the airport and flew home at dawn. Twelve hours in the air for fifteen hours on the ground in total! Listen for the interview material on hardDrive with Lou Brutus and see the photos on his social nets. You can also relive the whole trip using the #BrutusInLaLaLand hashtag on Twitter and Instagram. Thanks to the band, the crew and the studio for the hospitality. Extra thanks to the band’s photographer Stubs for grabbing images of LB’s visit!